"The site more than suits our needs and will promote our club very well, it will be a great point of contact and information point for our present members and I'm sure bring in new members too." Welcome to Whitstable Designs. We specialise in web site design and search engine optimisation for small businesses. 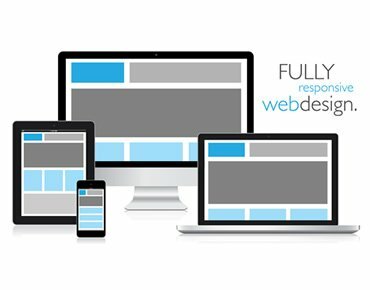 We focus on creating high-quality, mobile-friendly and engaging web sites that are packed with SEO features that help to get more sales online. We love building web sites but we also want to make things as easy as possible for you. Not only do we create the web site but we can take on the full management of it so you can relax and focus on your business. Let us doing the boring bits like updating your site with new content and making sure your site is up-to-date so it is secure. There are literally thousands of people offering web site design services, so why chose us? Well, we have a trusted reputation built up over years of working with local businesses. We also know how difficult it is to set up a new business so we make things as easy as possible for you. We will create a design for your new web site and show this to you. If you do not like it for any reason, just let us know and we will either make changes or create a brand new design for you - we keeping doing this until we find the perfect design and layout for you. It's important you get exactly what you want. Once online, you may choose to have some additional search engine optimisation (SEO) work applied to the site. This helps your site climb in the Google search rankings so that your customers can easily find you. SEO is complicated, with hundreds of little tweaks needed to get the search engines to recognise your site. Once again, we take care of the details and let you focus on the things that matter. We will make updates to your site each week and report back to you, letting you know the progress being made. We also offer a range of other services to help build and promote your business. Whether you want to advertise locally, across the county or around the country. From the simple but necessary things such as business card design and business telephone numbers, to the more advanced areas such as e-mail marketing. If you need an update to your site or perhaps you're thinking of getting a brand new one, why not get in touch and see how we can help? Based in Kent, at Whitstable Designs we work with customers across Kent and across the UK. From first contact we can help get your project started. Whether it's a small update to your existing web site or a brand new one, we will help get your business online. From web sites to e-mailing marketing, our small team can walk you through it all. We're a small team based in Whitstable. We build and maintain web sites across the country and around the world.